I.F. 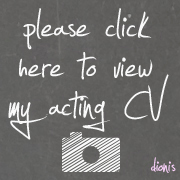 diet setup and 3-days update | Dionis on the web. 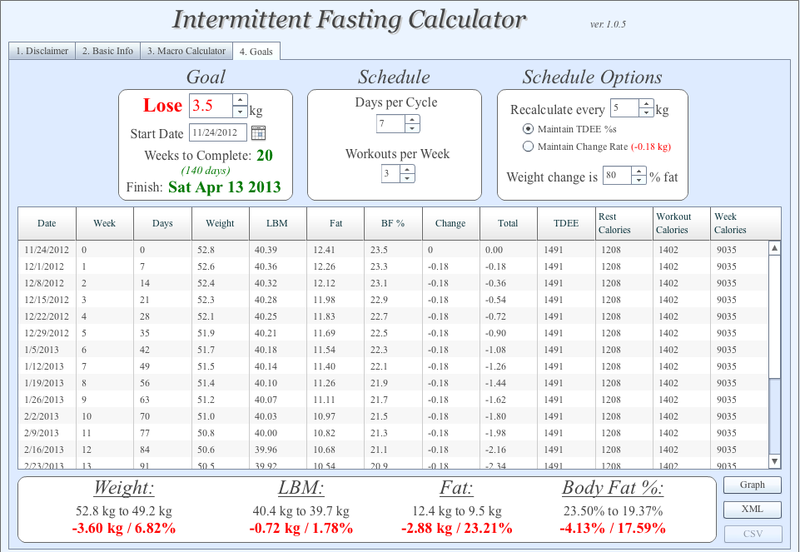 As mentioned in my previous blog entry, I embarked on the Intermittent Fasting (I.F.) diet ala leangains style on the 26th November 2012. It has been a trying 3 days, something which I had expected but have already braced myself for it. If I’m working out in the evening, I will complete eating about 40% of my daily calories 2-3 hours before my workout. If I’m working out in the morning (fasted state), I will eat 10 grams of BCAA supplements to fuel the workout. I’m cycling carbs in my diet – meaning that I do one day low carb, one day high carb so that I reduce the bad effects of a low carb diet and yet reap the benefits of muscle building with sufficient carbs. 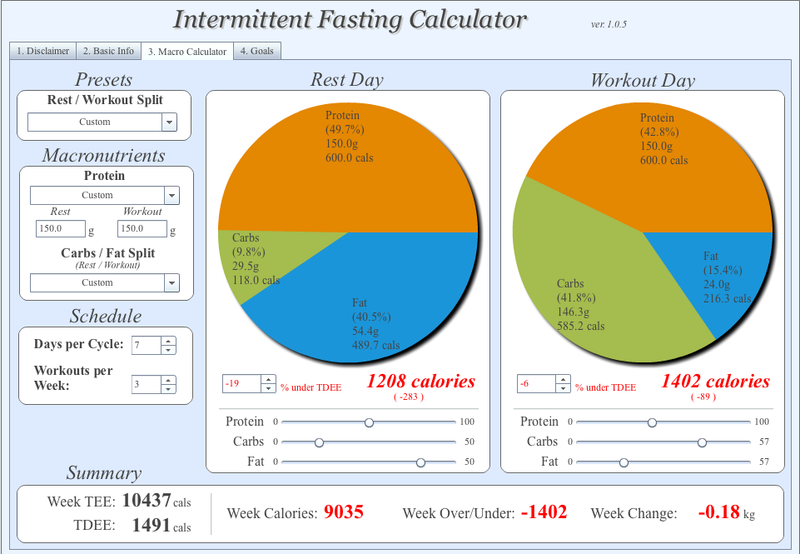 I’ve used an online calculator – IF Calc to estimate my daily calories required for this fat loss project. I went for a protein level of 1.3 x my bodyweight in pounds (hence 150g above). My daily maintenance calories is 1400 which means that my body will burn 1400 calories to keep me alive and functional daily. So on non-workout days, I will be having a deficit of 200 calories (before exercise) when I budget 1200 calories (1400-1200=200cals). On workout days, I’ll be eating at near maintenance calories of 1400. My weight loss (or cutting in body building terms) will actually occur during my rest days from the calorie deficit. Day 1 was really trying. I am a big fan of breakfast and having my first meal at 1pm really tested my determination. By 10am, I already found myself very peckish and I was walking around trying to look for some food. I was very determined and I held on till 1pm before I had my first meal. Protein loading proved to be harder than I thought. No matter how I ate, I only managed to hit 70grams of protein in the first day. #fail. Today, I managed to load up 121 grams, but that is after eating like 1 chicken breast, 1 beef patty, steamed fish, 1 egg … So tough! For the first 2 days of this diet, I found myself having diarrhea and flatulence. I wonder if it is because the bacteria in my tummy has no food to work on hence it is making me uncomfortable? I was weaker on the first day of the diet. I cannot do as my reps with my dumbbells as before. I attributed this to the severe lack of protein in my diet on the first day. After completing my HIIT on my rest day, I went to do some leg-lifts and I felt slightly pukish at this stage. Hunger pangs. I kept feeling my hunger pangs before I broke my fast and I had to keep myself busy to keep my mind off food. The fat around my stomach actually feels different. It is no longer hard but its texture actually became softer and more “malleable” and that was very fascinating. This diet IMHO is not for the faint hearted. You really need a determination of steel to stick to the feeding window and eat the right macros (carbs/proteins/fat) on the projected days. I will do up an entry soon explaining why I chose to take up this diet and how I came up with the macros and workouts.